Yesterday I took part in a University Teaching and Learning Strategy meeting that discussed, among other things, how to improve the feedback on student assessments in order to help them learn better. It was an interesting meeting, involving academics, administrative staff and representatives of the Students Union, that generated quite a few useful ideas. 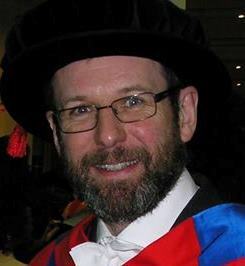 Looking through my back catalogue I realise that around this time year I was at a similar event based in the School of Mathematical and Physical Sciences at the University of Sussex of which I am Head. Positive though yesterday’s discussion was, it didn’t do anything to dissuade me from a long-held view that the entire education system holds back the students’ ability to learn by assessing them far too much. One part of the discussion was about trying to pin down essentially what is meant by “Research-led Teaching” which is what we’re supposed to be doing at universities. In my view too much teaching is not really led by research at all, but mainly driven by assessment. The combination of the introduction of modular programmes and the increase of continuously assessed coursework has led to a cycle of partial digestion and regurgitation that involves little in the way of real learning and certainly nothing like the way research is done. I’m not going to argue for turning the clock back entirely, but for the record my undergraduate degree involved no continuous assessment at all (apart from a theory project I opted for in my final year. Having my entire degree result based on the results of six three-hour unseen examinations in the space of three days is not an arrangement I can defend, but note that despite the lack of continuous assessment I still spent less time in the examination hall than present-day students. People often tell me that if a piece of coursework “doesn’t count” then the students won’t do it. There is an element of truth in that, of course. But I had it drummed into me that the only way really to learn my subject (Physics) was by doing it. I did all the coursework I was given because I wanted to learn and I knew that was the only way to do it. I suppose what I’m saying is that the idea of Learning for Learning’s Sake, which is what in my view defines what a university should strive for, is getting lost in a wilderness of modules, metrics, percentages and degree classifications. We’re focussing too much on those few aspects of the educational experience that can be measured, ignoring the immeasurable benefit (and pleasure) that exists for all humans in exploring new ways to think about the world around us. Just time this evening for the briefest of brief posts. This is probably the busiest week of the year at the University of Sussex, and it’s not over yet. The main reason for this busyness is the business of examinations, assessment and degree classification. This morning we had our meeting of the School Progression and Award Board for Years 3 and 4 at which, among other things, we sorted out the classification for honours of our graduating students. This involves distilling the marks gained over several years of assessments down to a final “Grand Mean”. It’s not a trivial process but I’m glad to say it went off very smoothly. The pass lists have now gone to be officially signed off by the University administration. They will be posted tomorrow at noon, at which time we’ll have a celebratory drink or several ready for those getting their results. One of my duties as Head of School is to chair this meeting, but I don’t take credit for the successful running of the meeting because all the hard work of preparation was done by our excellent office staff, especially Oonagh and Chrystelle. That done there was time for a quick sandwich lunch before heading off to Stanmer House for a teaching “away afternoon” for the Department of Physics & Astronomy, at which we discussed ideas for improvements to the way we teach and assess students. I’m actually in the group sitting under the parasol in the left foreground. 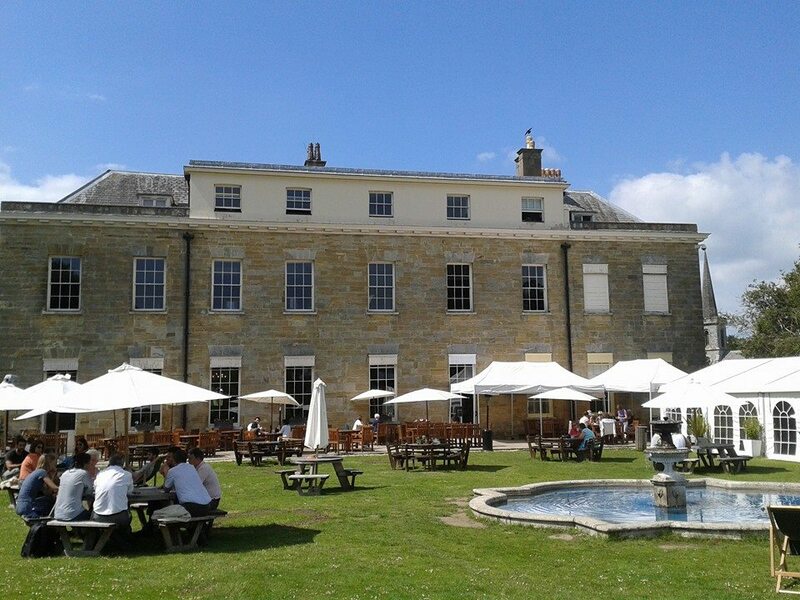 Stanmer House is set in beautiful parkland just a short walk from Sussex University. I took the more strenuous route over the hill, but am glad I did so because the view was so nice in the glorious sunshine and it made be realise I don’t make as much of the opportunity for walking around the campus as I should. Tomorrow is going to be another busy day but, if you’ll excuse me, I’m now going to have a glass of chilled white wine and a bite to eat. Yesterday I took part in a meeting that discussed, among other things, how to improve the feedback on student assessments in order to help them learn better. It was an interesting meeting, involving academics, administrative staff and a representative of the Students Union, that generated quite a few ideas which I hope will be implemented pretty soon. Positive though the discussion was, it didn’t do anything to dissuade me from a long-held view that the entire education system holds back the students’ ability to learn by assessing them far too much. The combination of the introduction of modular programmes and the increase of continuously assessed coursework has led to a cycle of partial digestion and regurgitation that involves little in the way of real learning. The very fact that coursework didn’t count for assessment made the feedback written on it all the more useful when it came back because if I’d done badly I could learn from my mistakes without losing marks. This also encouraged me to experiment a little, such as using a method different from that suggested in the question. That’s a dangerous strategy nowadays, but surely we should be encouraging students to exercise their creativity rather than simply follow the instructions? The other side of this is that more challenging assignments can be set, without worrying about what the average mark will be or what specific learning outcome they address.